Infosys will give an annual salary hike of around six per cent to its employees in India those located in in client geographies are likely to get a raise of between 1 to 1.5 per cent for the current year. The Bengaluru-headquartered firm, which is facing higher attrition rate in recent years, will roll out these salary hikes for 85 per cent of its employees, who are in the junior to middle management roles, effective from April. "We are repeating what we did last year. For about 85 per cent of our workforce, (who are in) junior to middle management level, wage hike will be effective from April 1. For senior level (employees), it will be effective from July-August," Pravin Rao, Chief Operating Officer at Infosys, said. "The average wage hike in India will be 6 per cent, and outside, (it) will be 1-1.5 per cent." To contain higher attrition rate, the IT services firm will provide higher amount of raise to staff at lower level. For the quarter ended March, 2019, overall attrition for the company remained at 20.4 per cent, a rise of 50 basis points over the preceding quarter. "Overall attrition remains high and we are continuing our focus on arresting the same," Rao added. Infosys’s larger competition TCS has also announced salary hike in the range of 2-6 per cent depending on the geographies where they are based out of. Rao also said that the company’s fresher hiring number in FY20 willl be similar to what it was in the previous year. "We have hired some 40,000 people last year out of which 20,000 were freshers. For this year also, our fresher hiring will be in the range of 18,000 to 20,000." 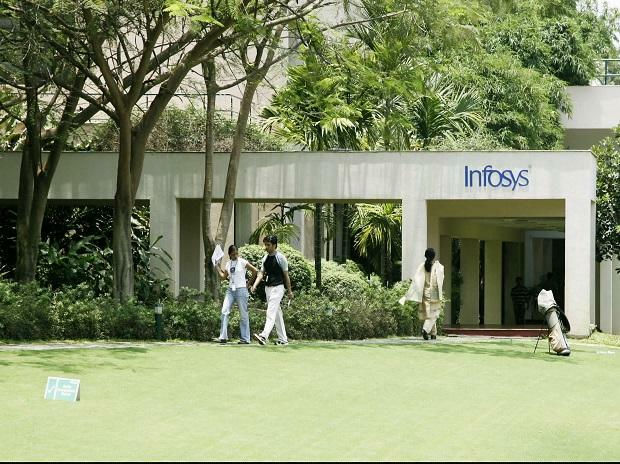 In FY19, Infosys added around 24,000 employees on a net basis to take its total headcount to 228,123. As a part of its effort to localize the workforce in various client geographies, Infosys has also have hired around 10,000 local Americans in the United States in the last two years.